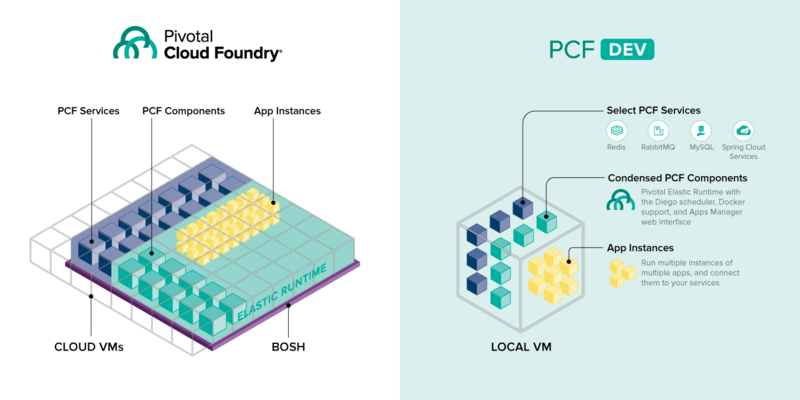 PCF Dev is a small footprint distribution of Pivotal Cloud Foundry (PCF) intended to be run locally on a developer machine. It delivers the essential elements of the Pivotal Cloud Foundry experience quickly through a condensed set of components. PCF Dev is ideally suited to developers wanting to explore or evaluate PCF, or those already actively building cloud-native applications to be run on PCF. Working with PCF Dev, developers can experience the power of PCF - from the accelerated development cycles enabled by consistent, structured builds to the operational excellence unlocked through integrated logging, metrics and health monitoring and management. 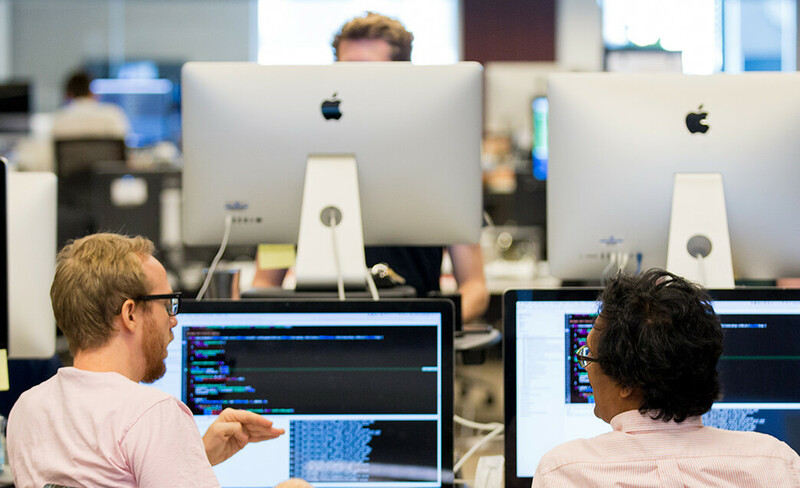 With PCF Dev, developers can quickly and easily gain expertise with Pivotal Cloud Foundry and gain an intimate understanding of the platform. PCF Dev provides the core functionality that allows developers to iterate locally to build and test their applications with the assurance that they will run unchanged on most default PCF configurations. With PCF Dev deployed locally on their laptops, developers can work on the go without requiring network connectivity or access to a full PCF deployment. The dedicated local deployment gives them the flexibility to update their PCF instance at their convenience, as well as restart with a clean slate at any time. PCF Dev also includes the same web-based application manager as PCF and PWS. As the diagram below shows, PCF Dev is a lightweight packaging of PCF intended for local application development rather than production deployments. PCF Dev is a single virtual appliance that integrates the essential PCF Elastic Runtime components along with Redis, RabbitMQ, MySQL, and Spring Cloud Services. Individual application instances execute as individually managed containers just as they would in PCF. However, it does not include many of the elements required for a highly available, production PCF deployment. For example, PCF Dev lacks BOSH (or its visual interface, Ops Manager), the infrastructure automation layer that orchestrates a collection of unreliable IaaS elements into a reliable application platform. As a result, it cannot support zero downtime platform upgrades or application/platform high availability. PCF Dev is available for free for development purposes and as a tool to evaluate Pivotal Cloud Foundry. PCF Dev retrieves a 4 GB virtual appliance that installs as a 20 GB virtual image. PCF Dev demands significant system resources in order to perform similarly to PCF. Please ensure that your system has at least 8 GB of system memory (16 GB recommended). You can also access the open source components of PCF Dev and interact with the PCF Dev team using Github issues here. Updates to PCF Dev will be regularly available from the Pivotal Network. Note: PCF Dev does not currently support updates that preserve user applications and state. PCF developers who use Spring can further streamline their experience by downloading and installing the Eclipse and Gradle/Maven plugins for Cloud Foundry.